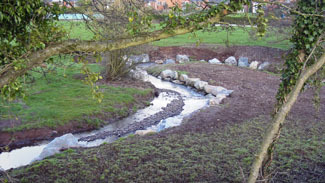 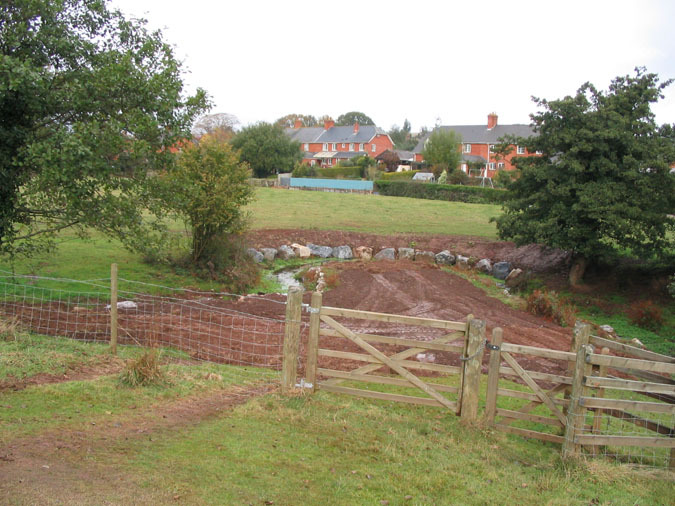 The stream circles around the peninsula the banks of which are reinforced with boulders to minimize meandering. 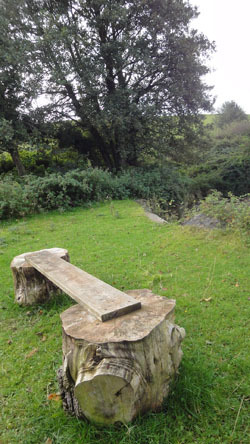 A simple bench provides a good spot for viewing or supervising children playing in the water. 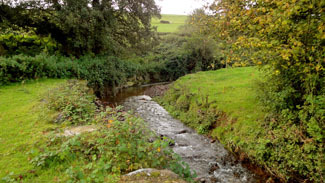 Trees and hedges line the edge of the stream.